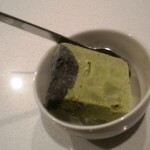 This is another variation on the Easy Lo-Carb Ice Cream recipe using the classic Japanese flavour of Matcha which is the powdered green tea used in the traditional tea ceremony, and Black Sesame which is commonly found in cakes and desserts from India to Japan but especially China where black sesame soup is a classic dessert dish. 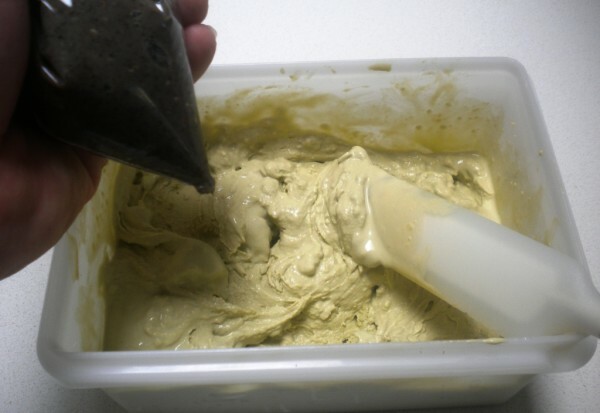 I first met this combo at a Starbucks in China where they were making a Black Sesame and Green tea Frappuccino. The two flavours go surprisingly well together. the slightly citrusy taste of the matcha is a subtle complement to the rich roundness of toasted sesame seeds. 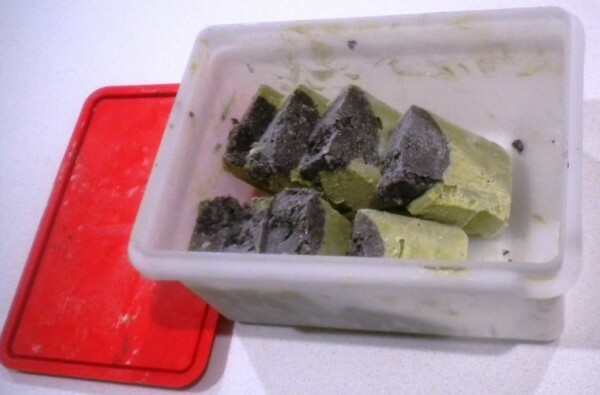 Just to add confusion to chaos, I also have tried adding Pandan leaf extract to the Matcha ice cream and Squid ink to the Black Sesame swirl – both for their colour (vivid green and deepest black) and flavour. The Pandan flavour is similar to Vanilla but it is a uniquely South East Asian flavour and it complimented the Matcha. I’ll leave this as optional as it is not at all necessary but adds an interesting vanilla like warmth to the flavour profile. The Squid Ink was a step too far and while the umami flavour it added wasn’t unpleasant, it kind of ruined the dish for everyone who knew there was squid ink in it. So I suggest if you do add it to take your sesame from dark grey to an awesome deep black – don’t tell anyone. 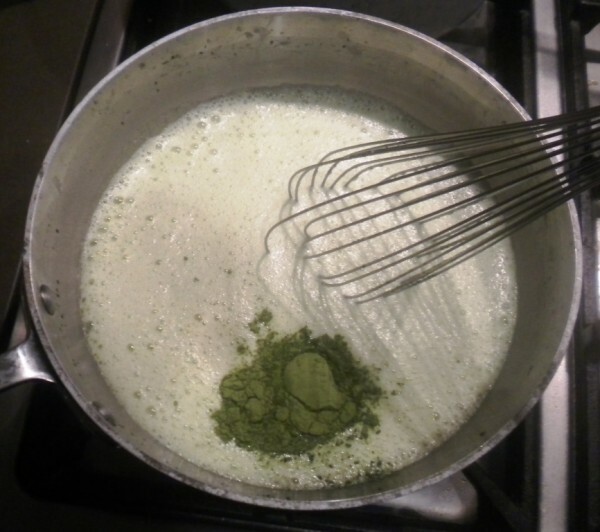 Put the cream and Matcha powder in a saucepan (add Pandan leaf essence if using it). 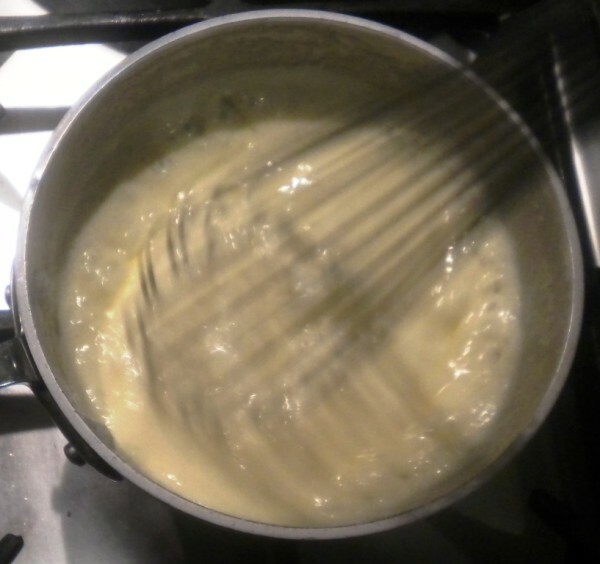 Bring to a simmer while whisking to distribute the flavour, then take off the heat. Cook the yolks and Splenda on a double broiler while whisking until ribbony, then gradually ladle in the hot cream mixture while whsking. Cool the Anglaise in the fridge. 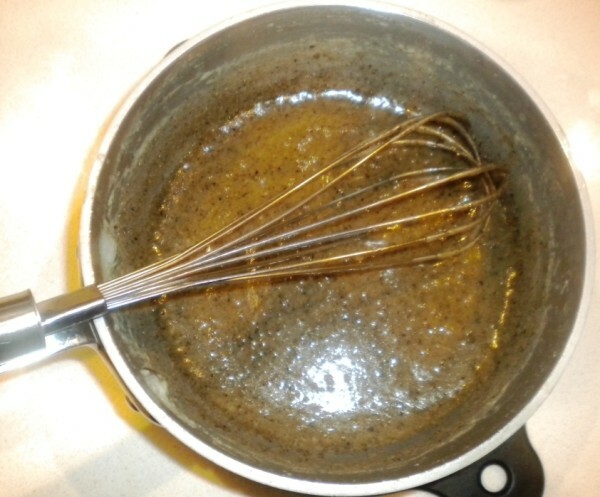 Add the Sesame oil and Black sesame powder (or ground seeds) to the reduced cream. 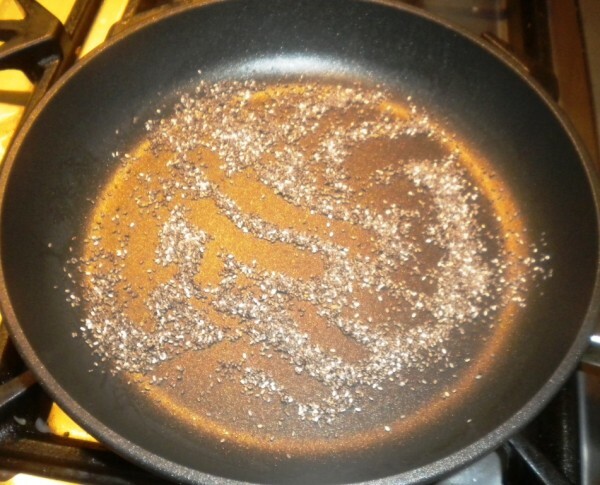 in a dry frypan roast the Chia seeds until you hear the first ones start to pop or crack. 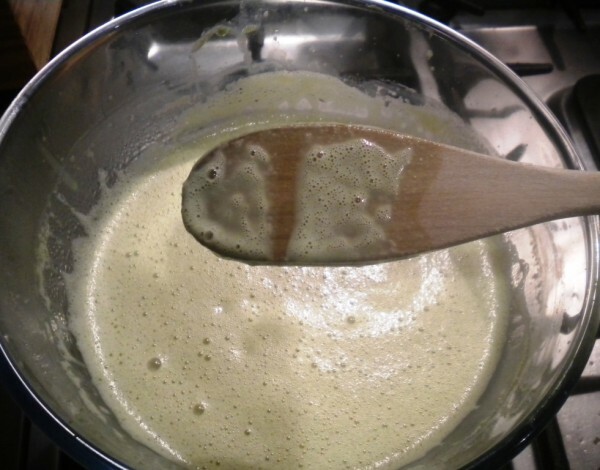 Add to the reduced cream and the chia will start to soak up the liquid and begin to create a gel. 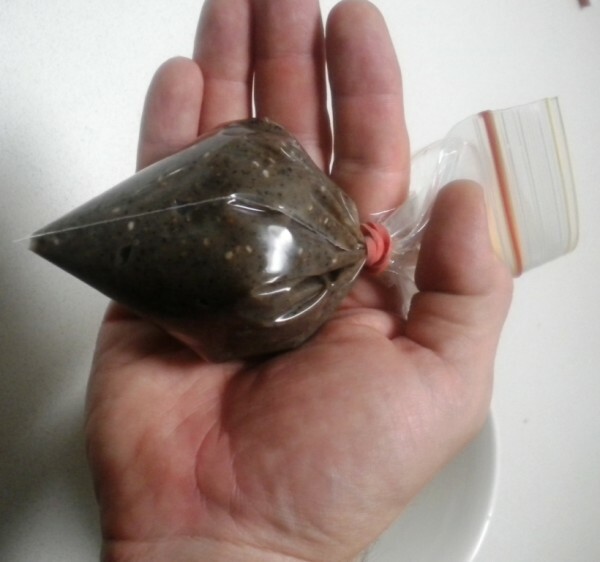 Allow to cool, then put the mixture in a plastic bag so that we can later pipe the mix through the ice cream. I push it all down into a corner then wrap a rubber band around to keep the mix in the bag. When ready to pipe, I'll just cut the corner of the bag off with scissors and squeeze the mix out. 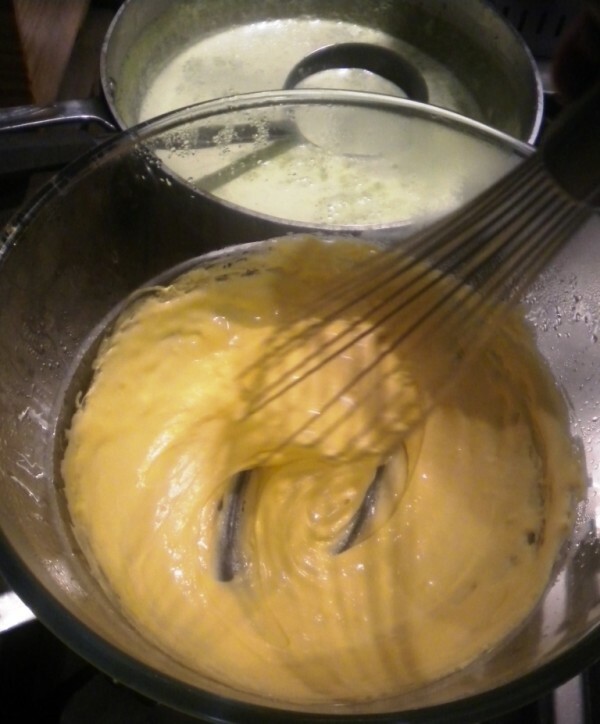 Add the cooled Anglaise to the Ice Cream maker and churn as usual. 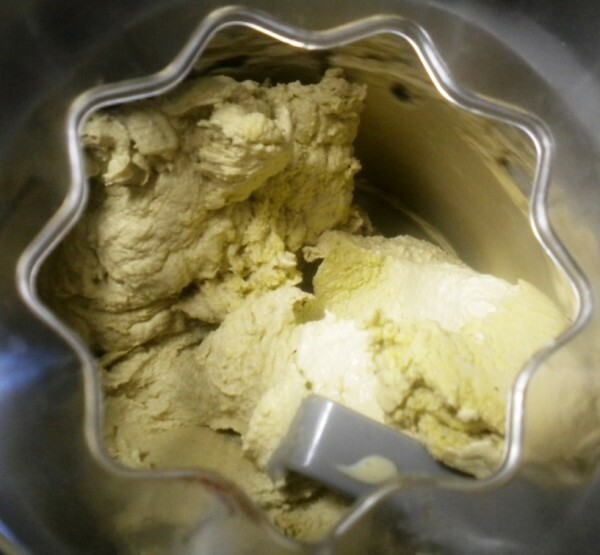 Once the ice cream is in the final setting container, you can pipe the Sesame Mix through it. Portion up into 16 serves once the Ice Cream has frozen solid. 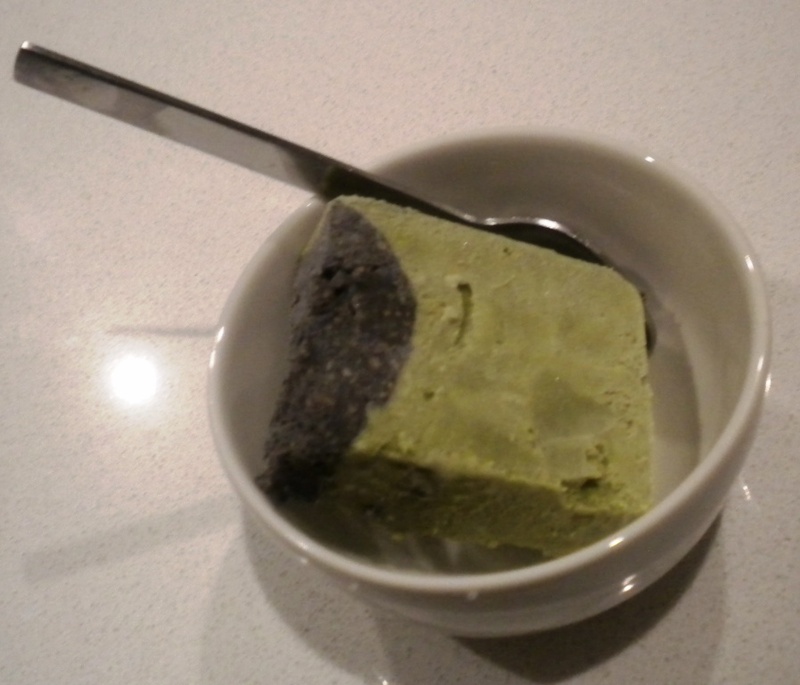 It’s very Matcha-ey, it’s like a cold version of Matcha tea with a black sesame cookie embedded in it.